Toys for Tots is a great cause that gives Christmas gifts to children who would not have gifts without these generous donations. 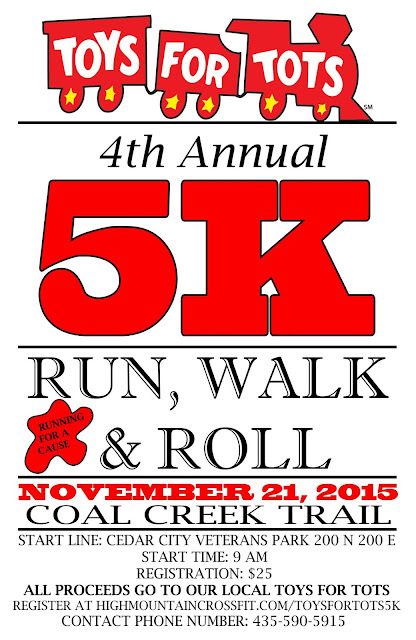 There is a 5K that will raise money for this cause this Saturday in Cedar City. Register in advance for cheaper registration costs or you can pay more and register on-site. Grab your kids, grab your friends and lace up your sneakers! This will be a fun run! !